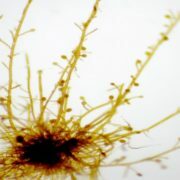 A dynamic network of filamentous elements, the cytoskeleton, holds the key to patterning of the cell wall during growth. 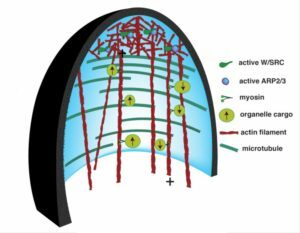 This review focuses on the actin cytoskeleton during cell morphogenesis. 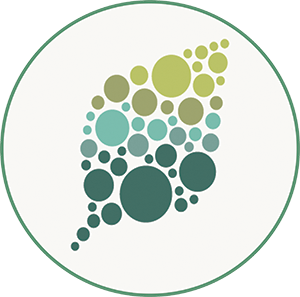 The field is progressing rapidly, enabled by forward- and reverse genetic analyses in an ever-increasing number of plant species. 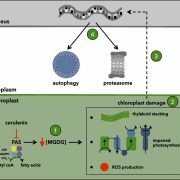 The characterization and function of plant actin cytoskeletal proteins have been reviewed previously in several comprehensive reviews (Ren and Xiang, 2007; Li et al., 2015). 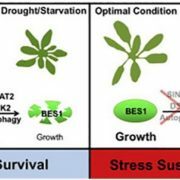 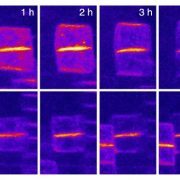 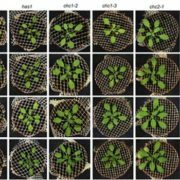 The field has been further empowered by broad adoption of quantitative phenotyping and high spatiotemporal resolution live-cell imaging. The dynamics of single actin filaments (Staiger et al., 2009; Smertenko et al., 2010; Augustine et al., 2011), actin network remodeling (Vidali et al., 2010; Breuer et al., 2017), organelle/cargo motility (Ueda et al., 2010) and genes of interest are being analyzed from a broader perspective that often includes cell wall heterogeneity, intracellular flow patterns, and growth. 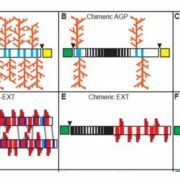 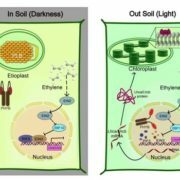 This Research Update focuses on the integration of cytoskeletal, endomembrane, and cell wall functions during morphogenesis and highlights recent studies illuminating how plant cells use the actin cytoskeleton to control patterns of cell growth.